On Songs of Bob Dylan, Joan Osborne unleashes her sizable gifts as a vocalist and interpreter upon The Bard's celebrated canon. 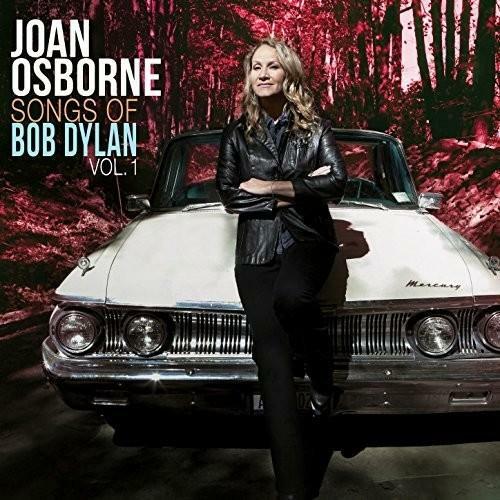 With performances honed by the time Osborne spent polishing them during Joan Osborne Sings The Songs Of Bob Dylan - two critically acclaimed two-week residencies she performed at New York City's Café Carlyle in March 2016 and 2017, the seven-time Grammy-nominated, multi-platinum-selling singer and songwriter, whom The New York Times has called "a fiercely intelligent, no-nonsense singer, " winds her supple, soulful voice around Dylan's poetic, evocative lyrics, etching gleaming new facets in them along the way. The album spans Dylan's beloved standards from the '60s and '70s ("Masters of War, " "Highway 61 Revisited, " "Rainy Day Women #12 & 35, " "Buckets of Rain, " "Tangled Up In Blue") to some of Osborne's favorites from his later albums including "Dark Eyes" (from 1985's Empire Burlesque), "Ring Them Bells" (from 1989's Oh Mercy), "Tryin' To Get To Heaven" (from 1997's Time Out of Mind), and "High Water" (from 2001's Love and Theft). "His versions are legendary and I'm not trying to improve on them, " Osborne says. "I'm just trying to sing beautiful songs and let people hear them. It's about trying to give a different shade of meaning to something that's already great. "